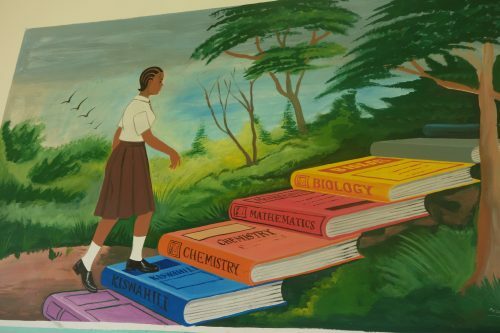 In Tanzania, 60% of students failed to pass their National Examinations last year. This leaves young people stranded, unable to access further education or useful training. In 2014, the Wentworth Africa Foundation began to sponsor students to gain vocational skills accredited by the local Vocational Education Training Authority to help them access the new employment opportunities in Mtwara and Lindi. So far, we have sponsored 20 students to receive training in a variety of vocational courses such as Food Preparation, Plumbing, Welding, Carpentry, Motor Vehicle Mechanics, Electrical Installation and Maintenance. With your support we could help many more. Just £250 will provide a young person with a year’s worth of vocational training. Donate here. Many young people in Mtwara and Lindi who pass their National Examinations cannot afford to go to university. It is a fact that higher education is key to unlocking economic growth and other long-term societal benefits in developing countries, so in 2014 we began funding promising young students with the drive to create change to attend university. Currently, we are sponsoring five future leaders to study Education, Community Development, Environmental Engineering and Medicine and we would like to help more. A gift of £500 will help fund a term of a university degree for a future leader. Donate here.